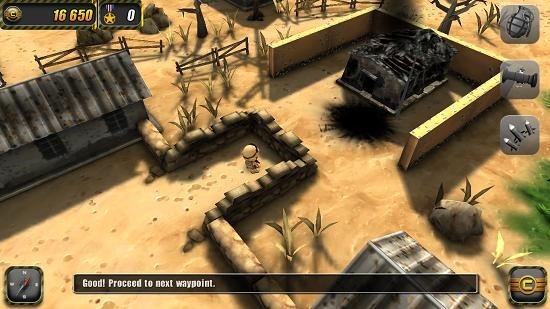 Tiny Troopers is a free shooter game for Windows 8 and 8.1. The game has great graphics and is catered more towards the kids. When you run the game, you will be taken to the main menu. The game is Xbox compatible, so you can actually log in with your Microsoft Live id to keep track of your achievements etc. on your Xbox account for gaming. 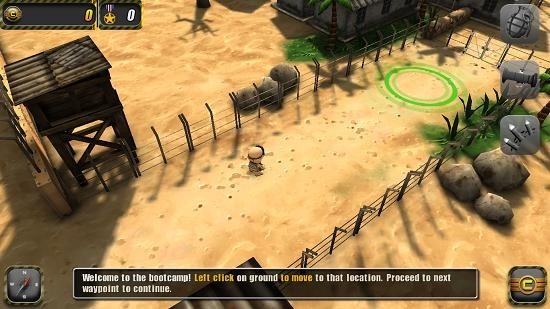 The game has easy controls through which you can move by clicking on an area on the ground, shoot by clicking on a target and fire special weapons by right clicking on a target. 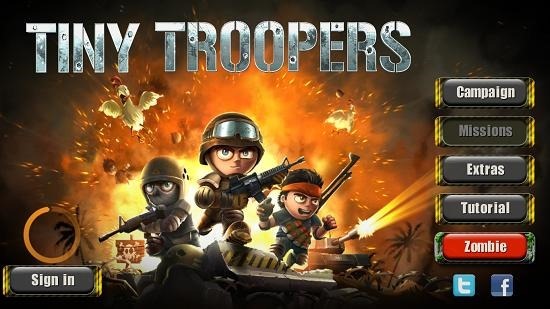 Tiny Troopers is available for free from the Windows App Store. When you run the game, the below shown main menu appears on the screen. You can click on the Tutorial button to fire up the game’s tutorial. The game is easy to learn. The tutorial screen is shown below. You can see helpful tips at the bottom of the screen during a tutorial. To shoot at target, simply aim at it and fire with left mouse button. 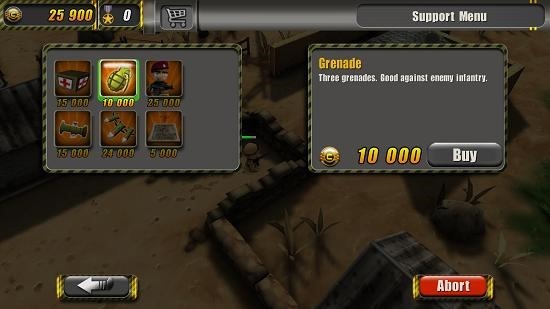 You can also use special weapons like grenades which may be purchased from command center by clicking C button at bottom right. You can see this process below. Once purchased, you can use them by right clicking on a target instead of a left click. Grenades are exceptionally good for destroying massive targets; you can see below that the bunker is completely destroyed. You can return to the main menu and start the campaign, etc. modes. Each mode has various objectives which need to be fulfilled. This basically is a wrap of the main features of Tiny Troopers for Windows 8 and 8.1. 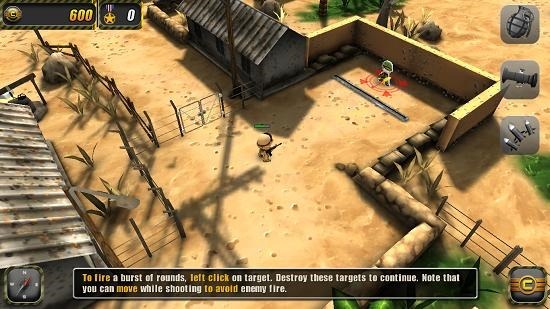 Tiny Troopers is a game with great graphics for Windows 8 and 8.1, but you may want to skip downloading it if you have limited data as the game is a huge download weighing over 100 MB. If you do decide to give it a shot, you may grab it from the link below.